Residential 5 acre property with a 4299 Sq. 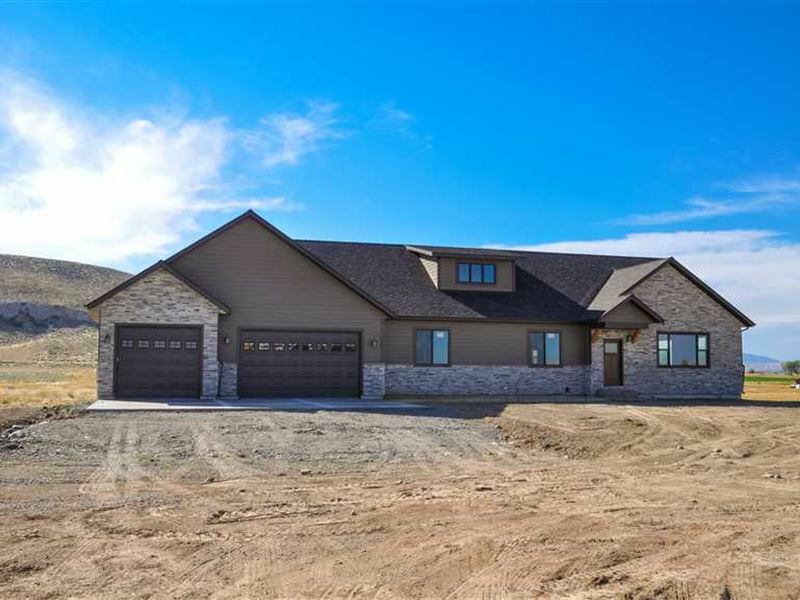 Ft. house built in 2018 that has 3 bedrooms and 3 full bathrooms in Cody, WY 82414. This brand new home in Cody's finest subdivision. Located just minutes from downtown Cody. Enjoy the peace & quiet sounds and feeling of living in the country while having the convenience and accessibility to restaurants, gas, grocery, and recreation. Each lot is connected by common bridal/walk/running paths, all leading to endless miles of Blm. High end finishing's, lots of windows and in Park County Wyoming.